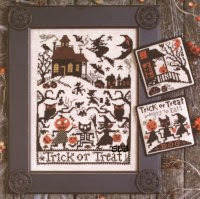 Today we have received a mixture of stitching for all seasons. 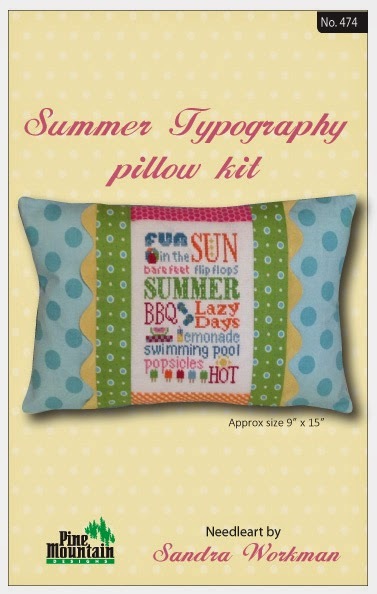 Here are a few samples of the new arrivals: For summer projects, we have Summer Typography pillow kit and Summer Typography in a linen kit (new area for Sandra from Pine Mountain Designs). 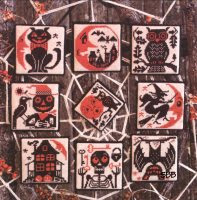 For Halloween, there is Boo Moon, Trick or Treat or Double Double, all from Prairie Schooler. 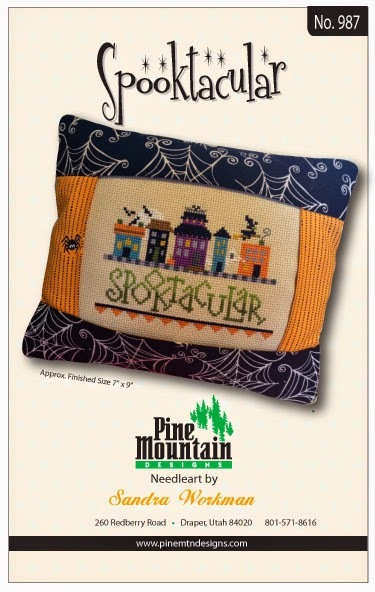 In addition, Pine Mountain has Spooktacular in a pillow kit as well as a linen kit. 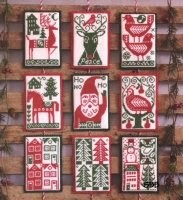 New Christmas designs include the 2013 Prairie Schooler Santa as well as Nordic Holiday and Happy Christmas. 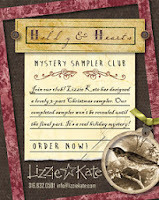 Have you heard: Lizzie Kate is introducing a new three-part Mystery Sampler beginning in September. 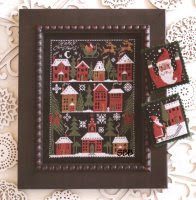 This Holly and Hearts Christmas sampler will be stitched on 28 ct. or 32 ct. Doubloon linen or 14 ct. or 16 ct. Aida with Weeks Dye Works. Can’t wait to learn more! We are, of course, making a list of those who want to receive this sampler. 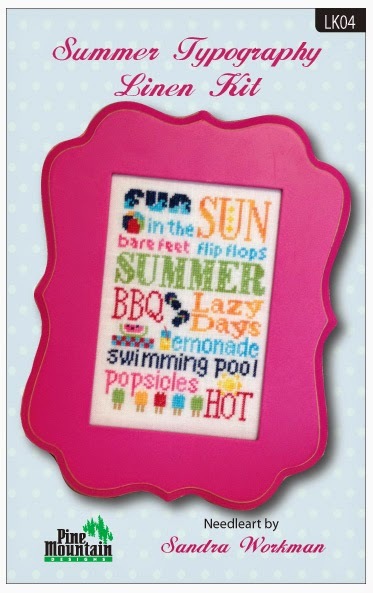 For your amazement and enjoyment, OMG has sent us a new Trunk Show. 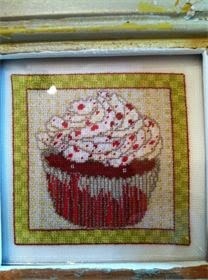 These designs are cupcakes, candies, Sugar Shacks, all originated by Andrea Wochenske, and stitched over one thread. 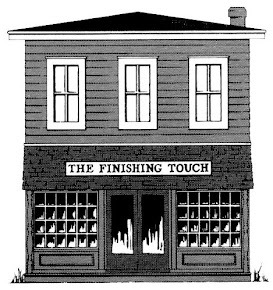 Trunk show ends July 22nd. Just a reminder that the Rosewood Manor show will be here a few more weeks.